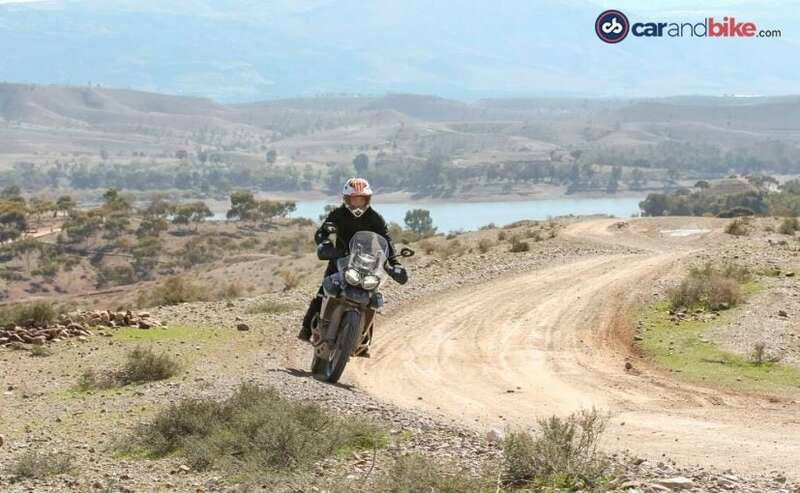 We ride the top-of-the-line variants of the 2018 Triumph Tiger 800 around the Atlas Mountains in Morocco, and come back impressed! The Triumph Tiger 800 is the world's longest running adventure model, and even predates the even more popular Bonneville series. Since 2010, Triumph has sold more than 68,000 Tigers across the world, and the updates for 2018 include updated styling, better ergonomics, more state of the art technology and a more responsive engine with a throatier exhaust note. And there are now, a choice of new colours, new graphics, new badges and new detailing. Triumph has retained the overall silhouette and dimensions of the Tiger 800 range, but there are several cosmetic changes. The mid- and top-spec variants get LED lights all around, including all-new LED DRLs (daytime running lights). The windscreen is now five-step adjustable, and get what are called aero deflectors, essentially designed with computational fluid dynamics for better aerodynamics and improved air flow, directing wind away from the rider and the pillion. The base XR model though continues to feature a fixed position screen and normal bulb lights. The side panels on the fuel tank are newly designed too, and now feature new badges and new colours. The ergonomics have been slightly changed too, with the handlebar moved back by 10 mm, offering more long distance comfort and better control for the rider. Then, there's the addition of illuminated backlit switchgear on the XRT and XCA variants, and five-way joystick control along with full colour, TFT instrument display system. The mid-spec variants feature one theme with three styles, while the top-spec XRT and XCA variants feature two themes with six different styles. The base XR though, continues to feature a LCD instrument panel. 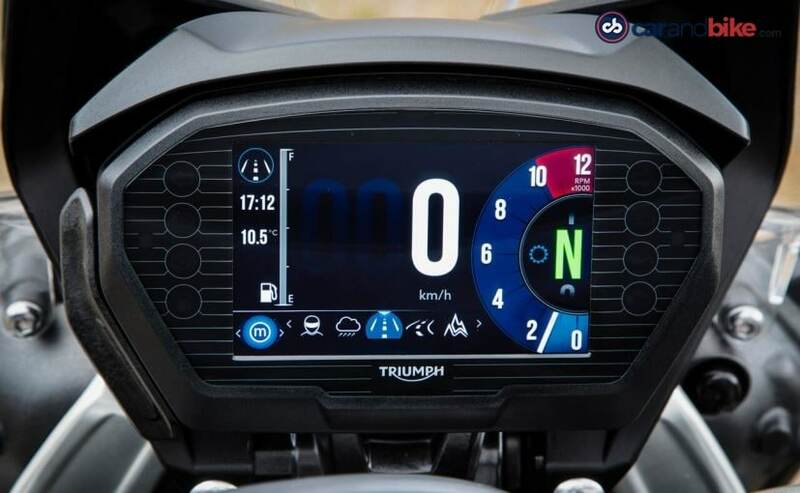 The TFT screen feature a wide range of information, including speedometer, rev counter, riding modes, gear position display, fuel level, clock, ambient temperature, average/instantaneous fuel consumption figures, service information, and coolant temperature. The new Tiger 800 feature easy-to-use switch cubes with a five-way joystick control, similar to the one on the Triumph Street Triple ₹ The bikes also get updated cruise control, hazard warning lights and heated grips and seat for the top-spec variants. 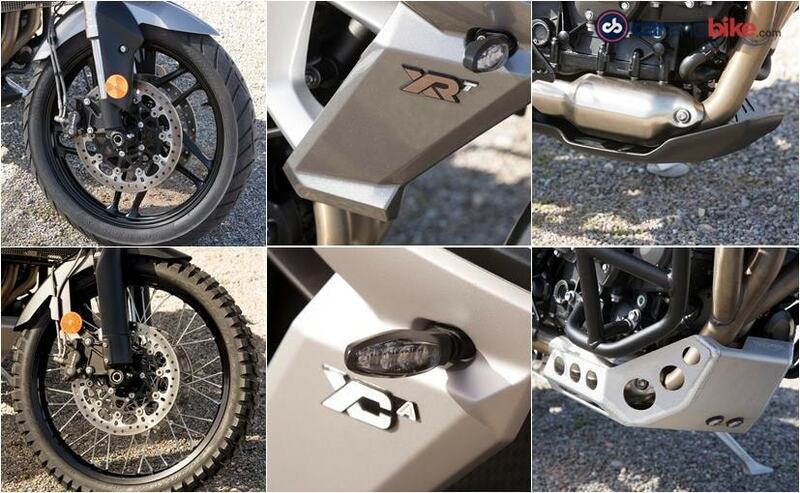 Fog lights are also standard on the XCA and XRT variants, but the new Tiger 800 misses out on self-cancelling indicators. LED lighting on the mid- and top-spec variants also provide much better lighting for night-time riding. The top-spec variants also feature six riding modes, with a new Sport mode and Off-Road Pro on the mid- and top-spec XCX and XCA variants. The top-spec variants also feature a programmable 'Rider' mode for individual custom settings across engine map, ABS, and traction control. 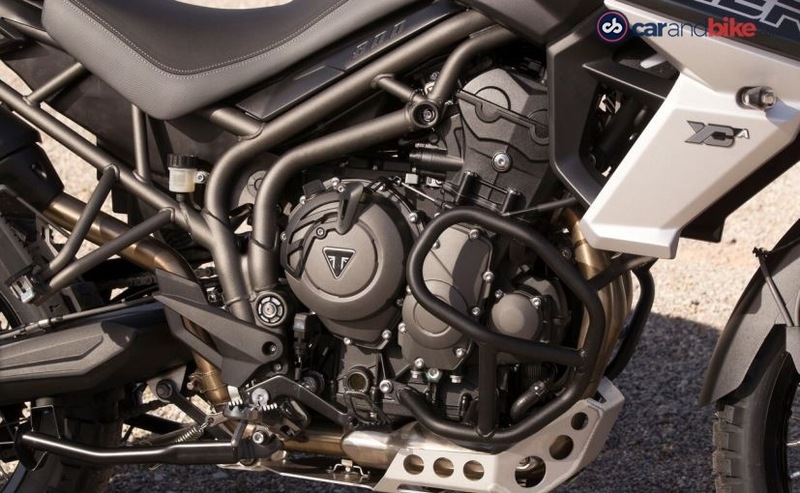 The engine is the same 800 cc in-line triple available in the outgoing model, but there are significant changes inside. The gears on the primary drive, the crankshaft and counterbalancer have been revised, resulting in an engine which spins faster and revs more freely. The exhaust is also more compact, lighter and freer flowing, resulting in a better sounding exhaust note, which is immediately noticeable as being throatier and bassier. 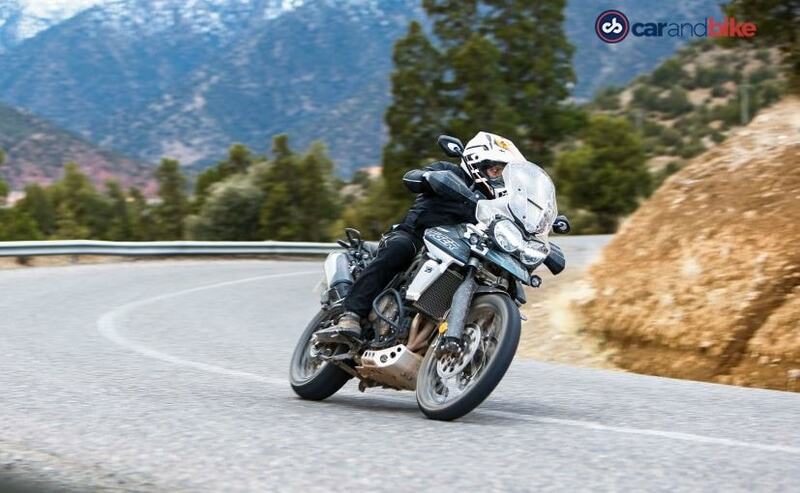 Overall, the engine feels more responsive and free revving; Triumph has not provided comparable acceleration timings with the outgoing models, but the changes in the engine definitely make the new Tiger 800 feel more responsive, punchier and more eager to move. The first gear ratio is now shorter, and the clutch has been updated as well. Peak torque is now delivered at lower speeds, ideal for off-road riding, and overall acceleration has noticeably improved. In fact, first gear may be shorter, but the rest of the gears are now marginally taller (about 0.9 per cent) and the changes in engine character are evident, if not obvious. The output of the engine though remains the same, delivering 93.7 bhp at 9,500 rpm and 79 Nm of peak torque at 8,050 rpm, with torque of over 70 Nm available from as low as 2500 rpm. What this means is that there's a flat torque curve across the rev range, and the 2018 Triumph Tiger 800 pulls cleanly from low revs. 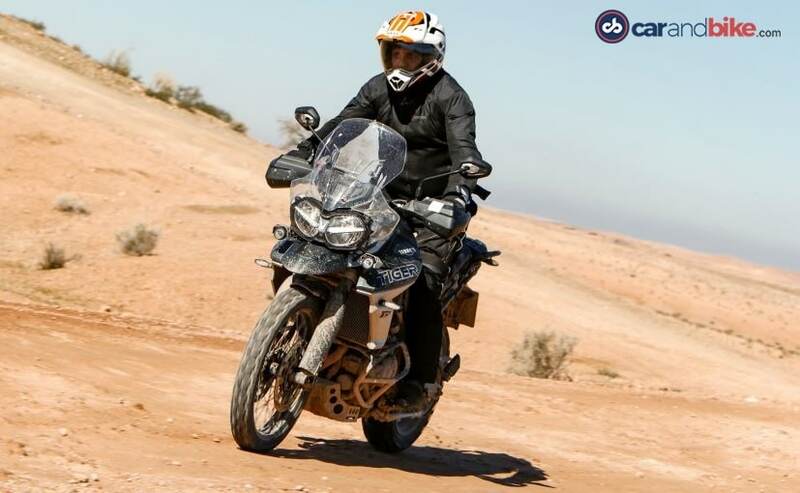 Sixth gear pulls easily and cleanly from 50 kmph, and for relaxed cruising, the Tiger 800 can sit very comfortably at high speeds all day long. 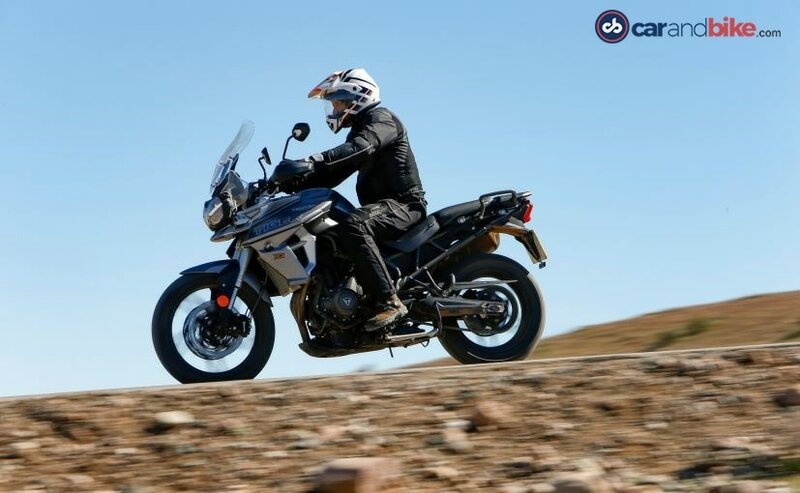 The new 2018 Triumph Tiger 800 range has clearly incorporated several improvements over the outgoing model. Suspension on the XR range is still from Showa and on the road, the XRT certainly feels more planted and easy to turn in. The XRT variant also gets adjustable Showa front forks, but spirited riding results in the pegs scraping too soon, even though the bike retains its composure without any hint of leaving you with an unsettled feeling. The XR range features a smaller 19-inch alloy front wheel with tubeless Metzeler Tourance tyres and is ideal for riders of shorter heights and build. The off-road oriented XC range feature top-spec WP suspension and a larger 21-inch front wheel. The XCA's handling is terrific, despite the larger spoked wheels, and the suspension offers a plusher, more comfortable ride. The Off-Road Pro mode on the XCX and XCA also offer traction control to be switched off, with less intrusive ABS for better control. And the Off-Road mode offers a wide safety net for riders new to off-road riding. Of course, there's the completely programmable Rider mode for more experienced riders. In our experience, the Off-Road Pro mode offers everything you'd need to drift the bike while riding on rough terrain like the one we were riding on. The shorter first gear also makes hill climbing easier and offers very good engine braking. The big question is - if you're in the market for a middleweight adventure bike, should you consider the 2018 Triumph Tiger 800? Most definitely yes! The Tiger 800 may not be superbike fast, but offers most everything for someone who's looking for an all-in-one motorcycle. 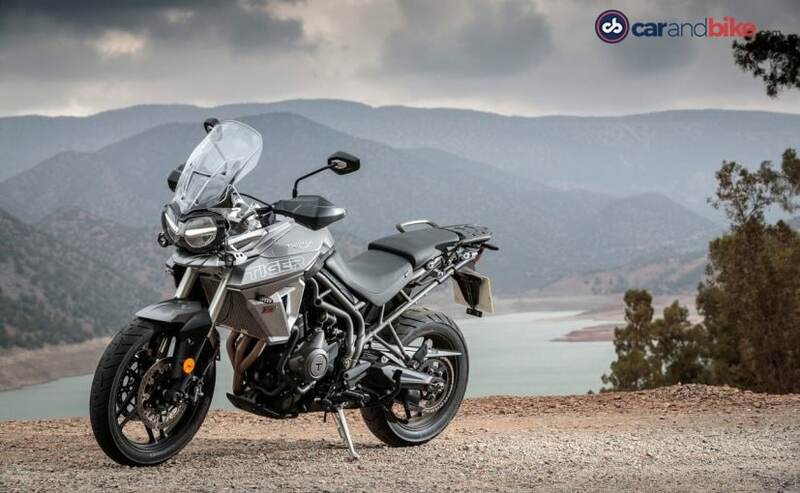 The free-revving engine retains the characteristics of a sportbike, and the Tiger 800 has very good touring capability and now comes with more features, more technology and very good off-road capability. 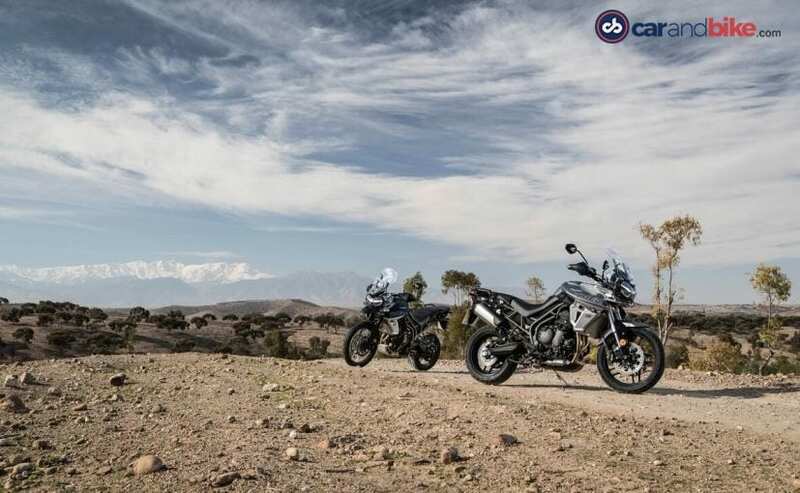 The Triumph-approved Pirelli Scorpion Rally off-road tyres offer superb grip and great handling off-road, and for the off-road riding inclined, these tyres are a must-have on the new Tiger 800. The new Triumph Tiger 800 range has been priced at a slight premium over the the outgoing model. It's become more expensive, yes, but is still makes the cut as a very capable adventure touring bike and all-rounder, even if you think you need to upgrade from the outgoing model. 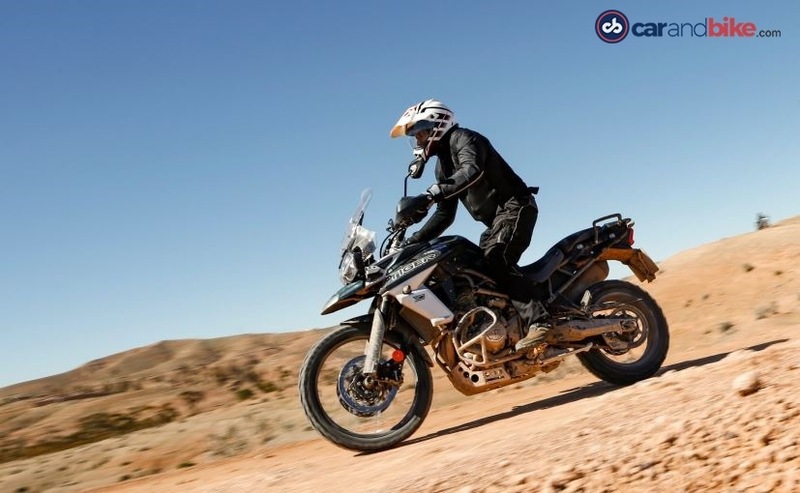 What will be interesting to note will how the updated Triumph Tiger 800 stacks up against its biggest rivals in India, in this case, the BMW F 750 GS for the Tiger 800 XRx and the BMW F 850 GS and Honda Africa Twin against the Triumph Tiger 800 XCx. 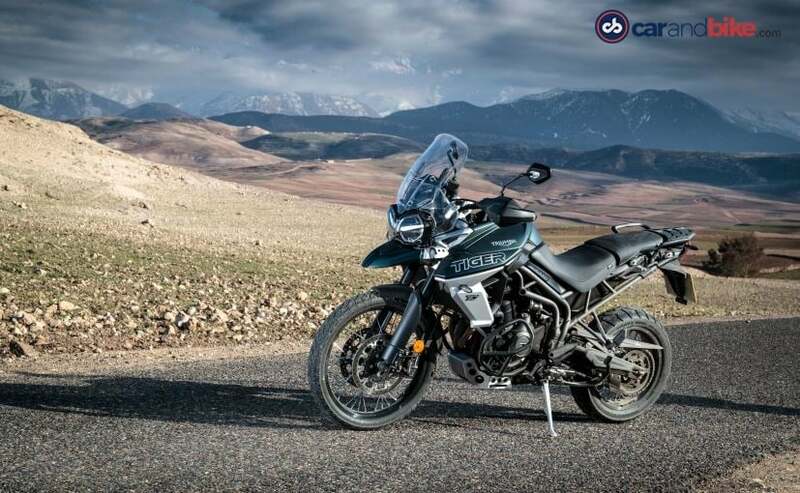 The last generation Triumph Tiger 800 is still a great bike, but the addition of new features, technology, updates to the engine, gearbox and clutch make an already great bike, that much better.